Techwool Trading is an Australian family owned wool company, through and through. 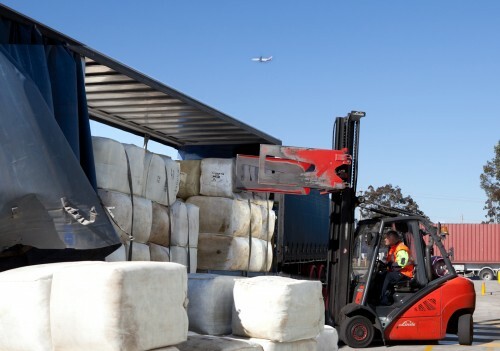 Rod Franklyn, Managing Director founded the company in 1983 and from humble beginnings, Techwool has progressed to being one of Australia’s leading wool traders, exporting in excess of 220,000 bales per year. 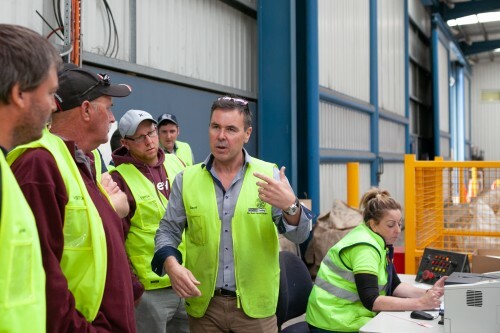 Rod’s consistent and sound business ethics, have earned Techwool an excellent reputation with wool growers and export clients alike. The good relationship between TWT and its customers worldwide has been developed over many years. Techwool sources greasy wool (all micron types) direct from wool-growers through its extensive buying network, and at major auction centres around Australia. This guarantees consistent supply of quality Merino fleece wools, crossbred fleece & blend types as well as skirting and carding types all year round. Based in Melbourne’s western suburbs, in close proximity to the city’s major transport links of road, rail, sea and air; Techwool provides a seamless operation from farm to export. The company supplies wool to over 100 textile mills worldwide, from combing to carding to carbonising and fabric making operations. With a wealth of experience and traditional training in wool, the Techwool team is well equipped to attend to every technical detail, matching wool types with unique processing and manufacturing needs. The strength of Techwool Trading lies in working closely with their clients, looking after all customers, whether they be big or small.